"Musical inspiration earlier this week at #MicrosoftInspire. So much fun to listen to the orchestra (we call them "the kids") practice and then NAIL IT on show day! Listen to this performance / mash-up if you have a few minutes... I promise it will make your day!" "The Shostakovich was fascinating, deep, and very well delivered. Although some anguish on the part of the composer was never very far away, it seemed to fit together better than expected after reading the program notes. All of this was a very enjoyable evening. And a testament to the capability, high standards, leadership and judgment of Dr. Collins. Thank you for the valuable training and the good music you drew from the kids. Bravo." "We really appreciate the wonderful and fun environment your orchestra provides to the young musicians." "Thank you very much for your inspiration and guidance to all the students." My son "absolutely loves the orchestra and is so energized after rehearsals that he bounces into the house--excitedly reporting all that he's worked on. As his mother, I'm thrilled to see his passion ignited and his ability honed. Thank you." "I am in Boston for the next week, otherwise it would be a pleasure to take you up on your offer to hear the orchestra. My student has really benefitted from her work with you and she loves the orchestra, you, and the other student musicians! Thank you!" "Great concert! Fantastic job! I remember playing this piece in high school (over 15 years ago) and hearing this talented group perform this brought tears to my eyes and joy to my heart!" "Thank you for an amazing concert this afternoon! I honestly love and enjoy making music in our orchestra." "I was extremely impressed with the performance yesterday given by both orchestras. You are bringing new life to the Youth Orchestra Community in Virginia." "Sunday's concert was magical: Cheri, you launched the Chamber Orchestra into the stratosphere - they sounded beautiful, especially the Bach and Deerpath Triptych. And the Symphonic Orchestra was a revelation to us -- we had no idea they tackled such complex and moving music with such a big sound. In fact, a family friend was so moved, she wants to resume taking music lessons as an adult." "I did not realize this was the first concert for your group and was very pleasantly surprised at the quality of the concert Sunday. The kids were amazingly well-prepared as well as well-behaved while sitting in the audience or onstage. There seemed to be many very clear protocols for how things were to be done and I salute you for your extraordinary efforts. The program was beautifully done. The poster(s) and items being sold are a great tribute to what is being accomplished. The hall is perfect! Just WOW!" "Though I do not care for the (Franck) d minor symphony ... I can appreciate what a difficult piece it was for everyone and how beautifully you pulled it off. Again, truly extraordinary, Cheri." "Michael, the organization of the event (Winter Celebration) was flawless. I know first-hand that these things don't just happen - it takes a lot of detail work. My guests were incredibly impressed." 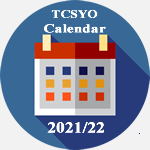 "Thank you so much for giving my daughter the opportunity to play in TCSYO. You have no idea how important this has been for her self esteem and growth as a musician. I was so impressed with yesterday's performances -- you did a fantastic job with both groups, and it was a pleasure to see." "Cheri Collins has been an inspiration to young musicians in our area for more than 20 years, . . . AYPO has benefited from her passion for music and education." "Dr. Cheri Collins has served and inspired the young musicians of AYSE for nine years. AYSE's May 13, 2012 concert will be her last with us, as she leaves to pursue new musical ventures. Dr. Collins has touched the lives of many musicians . . . I hope you will join us in showing our gratitude by making a gift in her honor to the AYPO Endowment Fund."